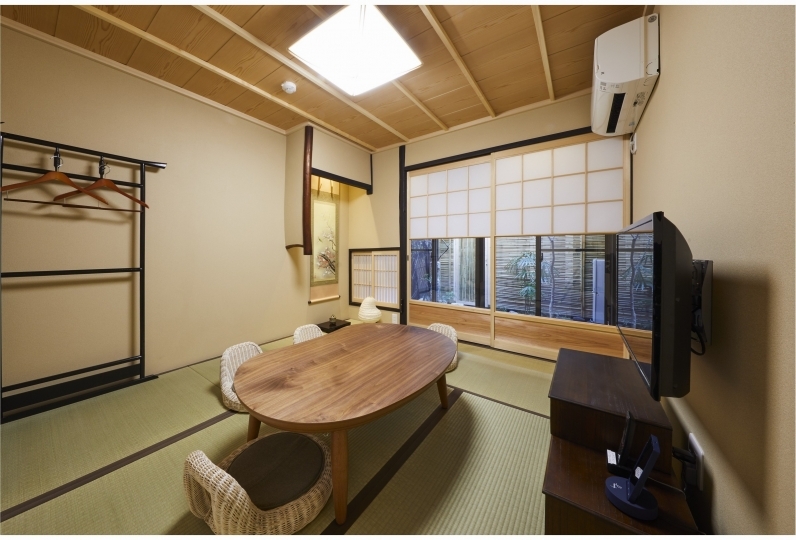 Elegant townhouse with the essence of Kyoto. Spend a luxurious time here, gazing out at the seasonal views of the garden while time ticks away slowly. Choose from 2 different villas to suit your preferences. 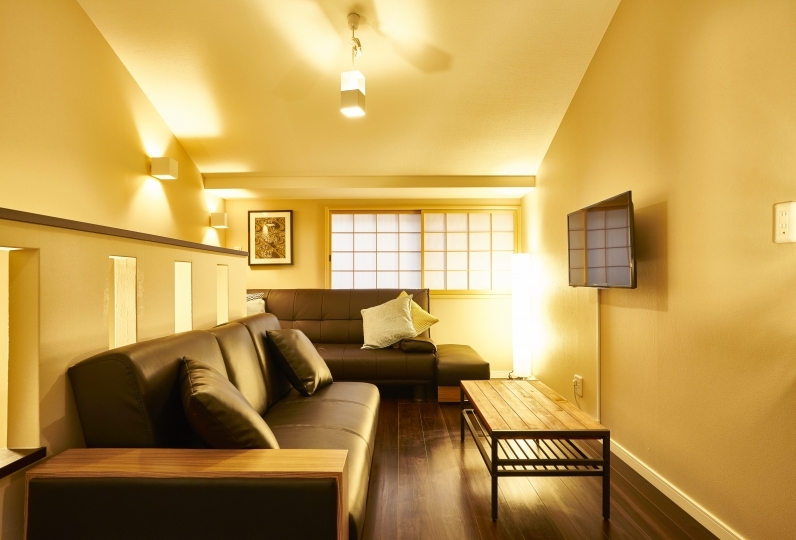 The lodging has received recognition for being an excellent townhouse-style accommodation in Kyoto. 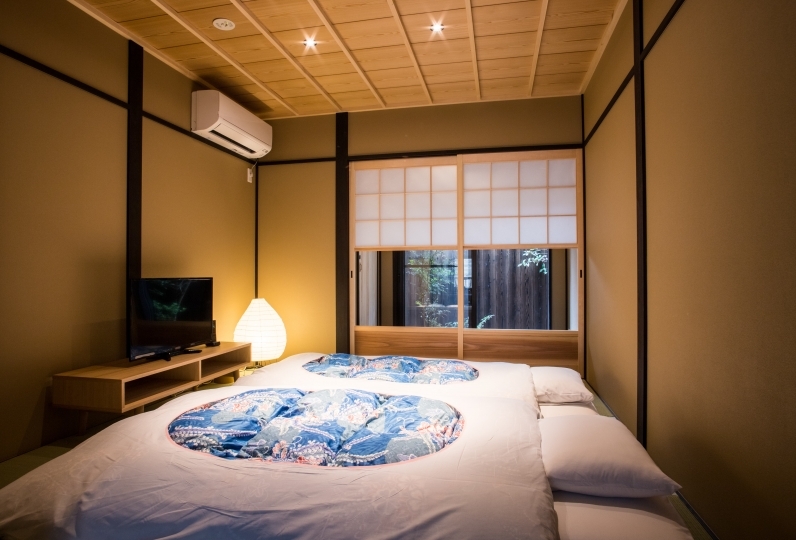 Houka's West and East Villas, a comfortable lodging with a traditional Japanese atmosphere and design, is the first lodging in Kyoto to received a certificate of excellence from the Japan Kominka Association. A relaxing time to ease your soul, enjoy a comfortable stay in a townhouse. The rooms have distinctive stone walls, typical of a historical townhouse. Guests are sure to feel at home in this house. With traditional navy furnishings, a comfortable time awaits. 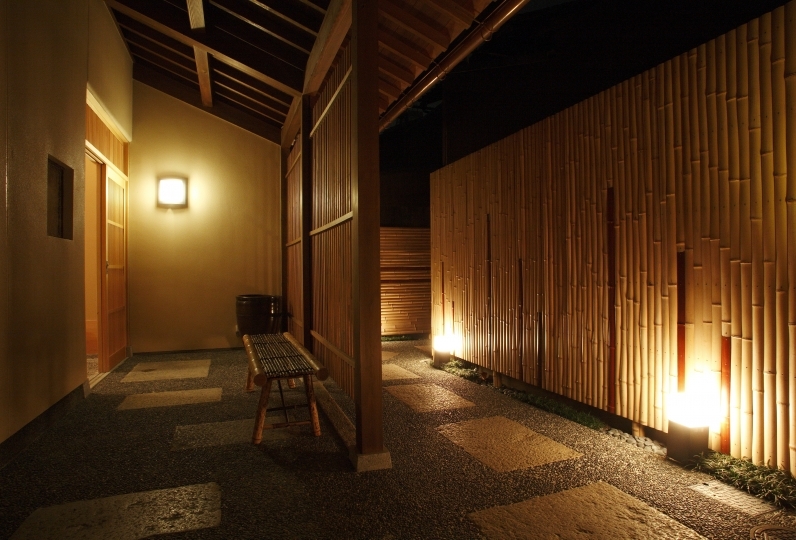 Treat yourself to a spiritual stay at a gorgeous townhouse typical of Kyoto. A scene typical of a traditional townhouse greet you as soon as you step through the front door. Relax your mind and body as you surround yourself in the historical atmosphere far-removed from the hustle and bustle of everyday life. 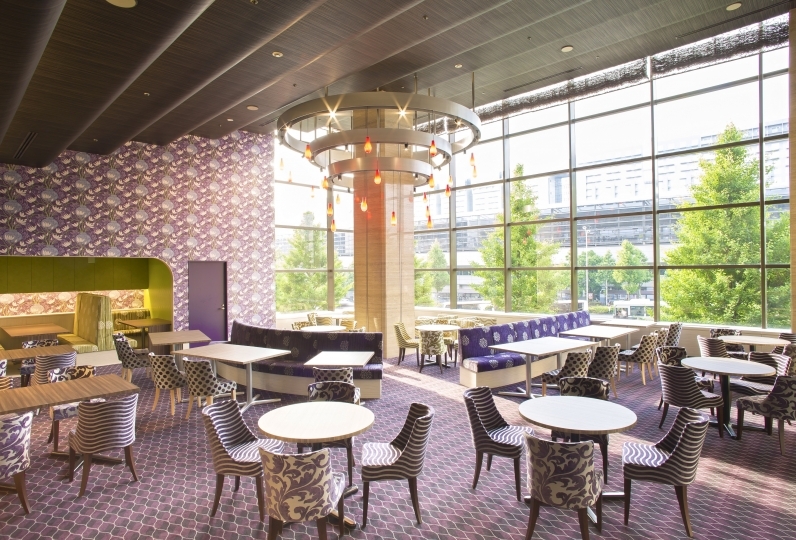 With traditional purple furnishings, a truly special stay awaits. I had a good time with my colleagues for three nights and three nights. In addition, breakfast was saying that everyone was delicious. Thank you. We wanted to stay in a town shop unique to Kyoto this time. It was located in a quiet residential area close to Kyoto station, but it is very convenient place with bus street if you get one. The room was also very clean and well maintained. It is felt that the ladies general wanted to stay gently overnight. I chose this town choir and was the correct answer. * Thank you. We stayed with family. Although I could not confirm the number of people, I am very thankful for dealing with flexibility up to the last minute. I used an early check-in and asked my office. It was a little troublesome to go from the Kyoto station to the location of one station, but I got lost as to check in at the accommodation facility, but it was a correct answer. I was able to visit Kyoto in a very meaningful way that we taught us the place recommended by the lady general who was almost no plan, the order and directions to go around, and if you need us to make a reservation as well It was. 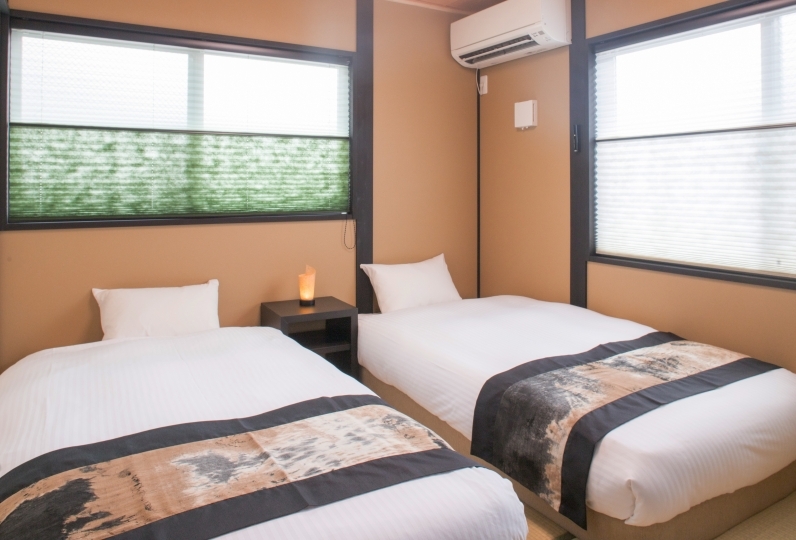 The key accommodation is a little place 10 minutes on foot from Kyoto station. It is quite spacious and does not feel totally cramped even with family use, it is a space to relax. There are no complaints about the arrangement of amenities and drinks, too. I had a cup of tea and coffee, too. Not only the air conditioner but hot carpet, blanket etc. are prepared so that it is old building of wooden but not cold, there was also a heater in the dressing room. 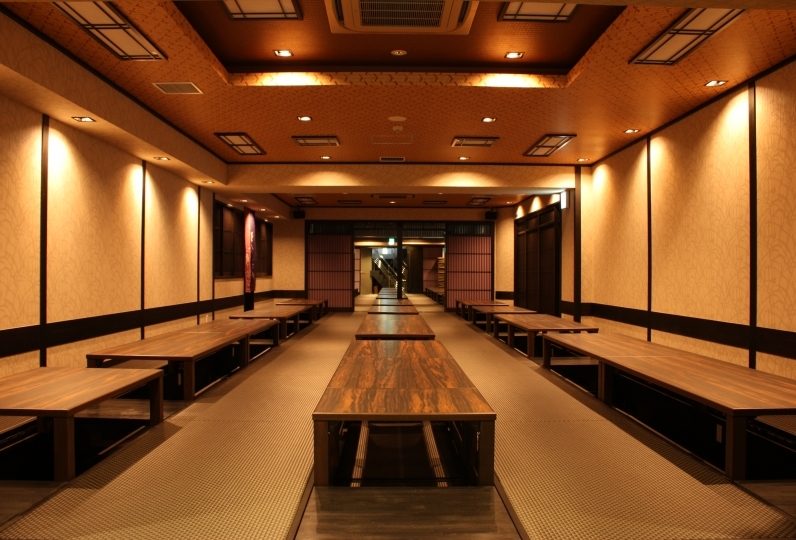 There are two wash places each with a hairdryer and amenity also being deployed, and the building and the interior are wonderful and attentive attention is also outstanding. My family is very pleased, and I will tell you to come here every time I come to Kyoto. Anyway, I am satisfied with the personality and attentiveness of the landlady, the contents of the facility, the amount of money, everything. Thank you for all the help you have given me. Enjoy the seasonal views of the garden as you take a relaxing bath. There are several different types of bath salts available. Relax your mind and body with an exquisite bath time. There are drinks available to make your time here even more relaxing. 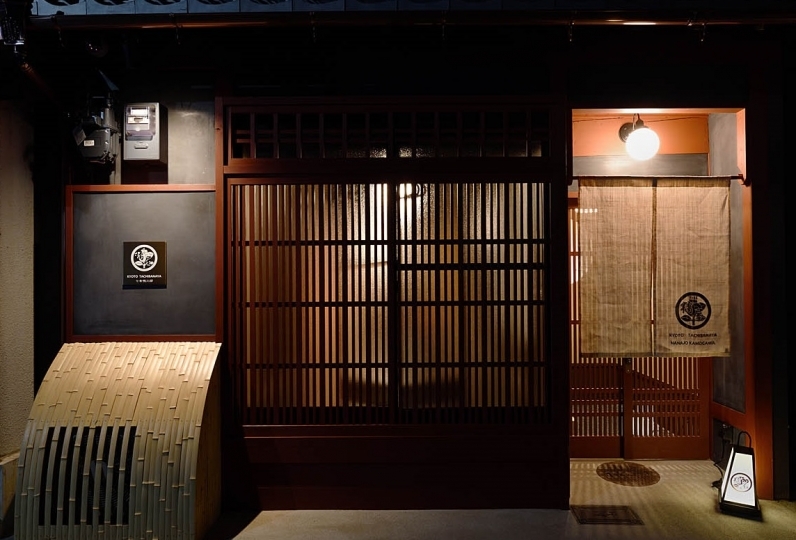 Free drinks include the use of a high-end coffee machine, with which you can even make espresso, aromatic teas, and tea from the long-established shop Ippodo of Kyoto. Enjoy a relaxing time. This lodging uses private check-in. A member of staff will wait for you at your planned time of arrival, so please provide your arrival time in advance. The member of staff will show you around the lodging, as well as prepare your welcome drinks to ensure a pleasant stay. 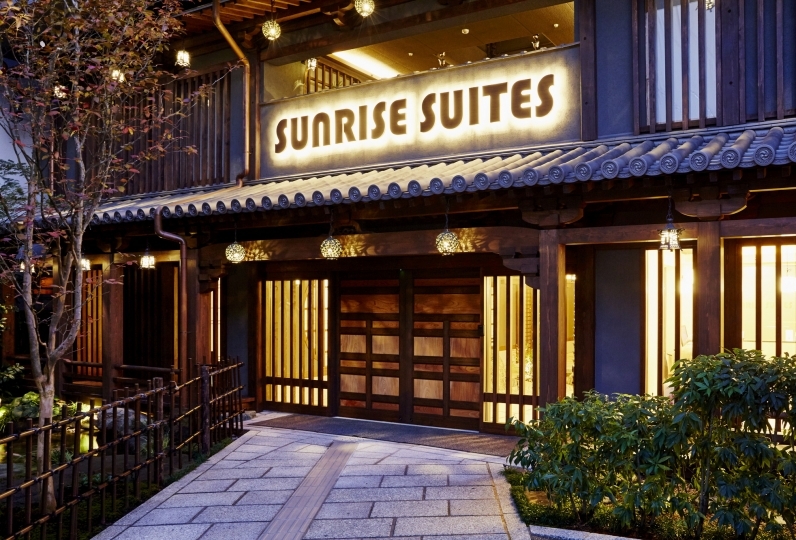 From October 1, 2018, Kyoto city accommodation tax will be charged separately (200 JPY - 500 JPY per person per night). ・There is no smoking, bonfires, or other fire-related activities allowed at the lodging. ・Pets and people other than guests are not allowed to enter the premises. ・There are steps within the lodging, including sunken kotastu table. Please keep this in mind if travelling with small children. 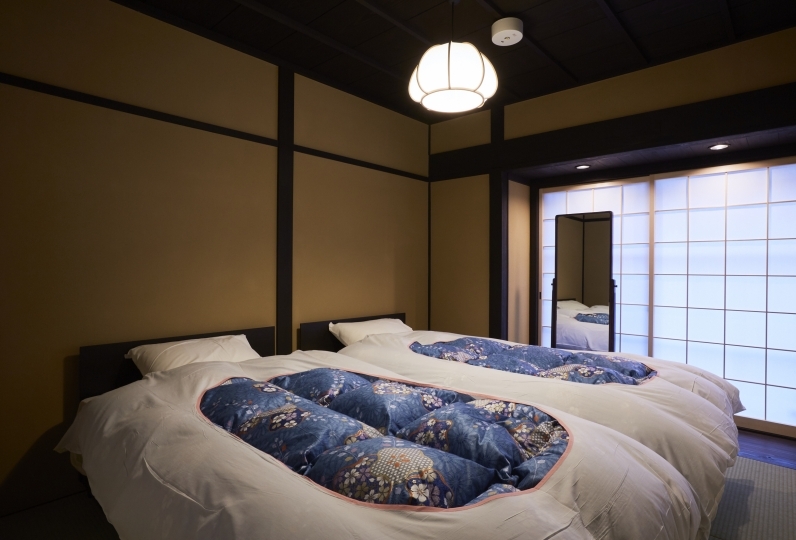 ・Free bed-sharing allowed for up to 1 child under the age of 6. ・Please check-in before 19:00. Check-in outside the standard time (15:00 - 19:00) will not be accommodated if there is no contact from the guest beforehand. 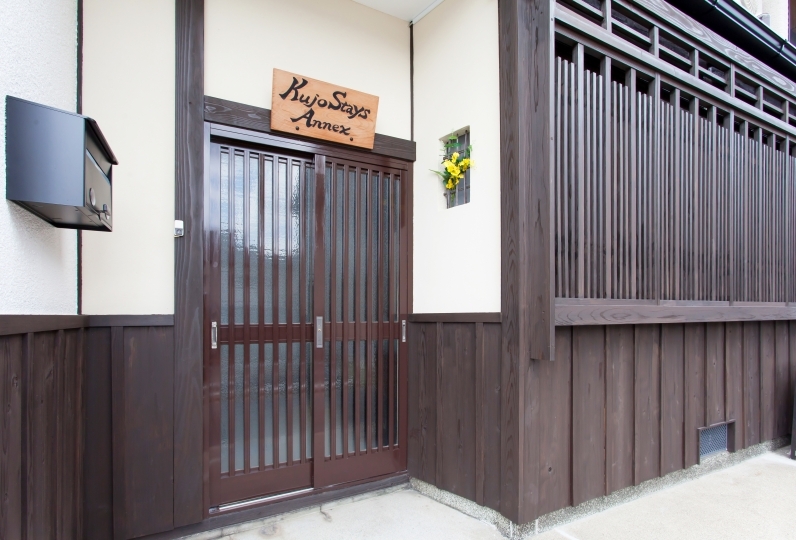 ・Early check-in available from 10:00 - 14:00 at Office Kyo no Oozora (3-minute walk from JR Tambaguchi Station). Please inform the office at least 2 days in advance if you wish for early check-in. ・Around 10-15 minutes on foot. ・By bus: Ride the Kyoto City Bus Route 50 for around 5 minutes, and alight at Nishinotoin Shomen. 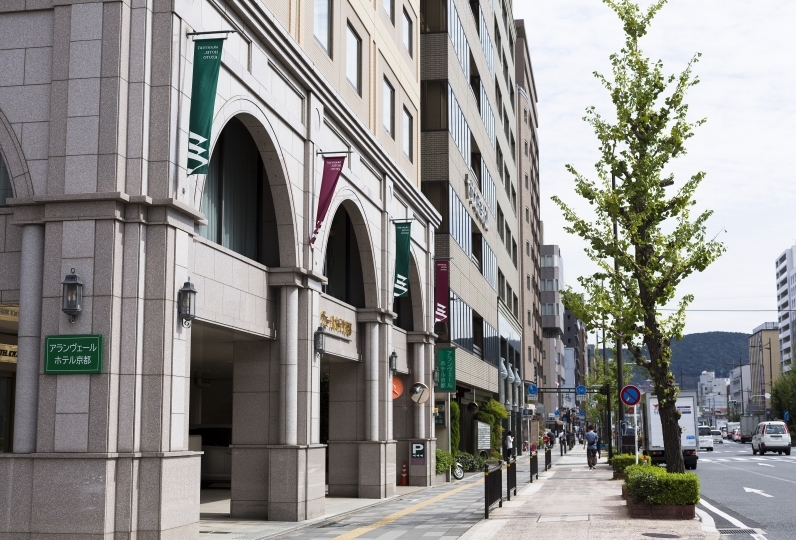 Around a 15-minute walk from subway Gojo Station.